A 40-year-old man in Tharaka-Nithi County was admitted to hospital after injuring himself while giving himself the cut. Kathenya Riungu from Nturiri area in Maara sub-county was found bleeding profusely in his house by his wife who alerted villagers and rushed him to Chuka County Referral hospital. Confirming the bizarre incident, Maara OCPD Johnston Kabusia said the wife of the victim had tipped village men that her husband was uncut, which is a mandatory rite of passage for all men before they marry according to the Ameru culture. Last Saturday, a mob of about 100 men stormed his home to confirm the information but the father of three managed to flee to nearby bushes. “According to the report, the man circumcised himself using a razor blade but did not do it in the right way seriously injuring himself in the process,” said Mr Kabusia. He, however, noted that they had launched an investigation to confirm exactly what happened. 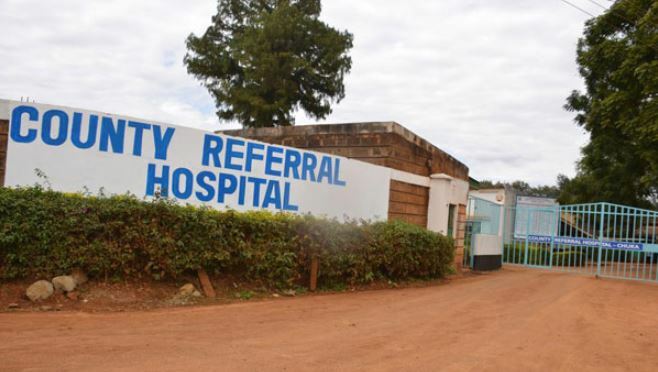 At Chuka Referral hospital, Medical superintendent Maurine Ogeto said the victim was treated and discharged. “Doctors were able to perform some surgery to make sure that everything was alright and he was given some treatment and allowed to go home to heal there,” said Dr Ogeto. Mr Nicholas Mutembei, Riungu’s neighbor and age-mate said the victim was away from home during their teenage years and returned home in his mid-30s. Riungu reportedly convinced them that he had already undergone the cut. “We have been knowing that he is circumcised until we learnt of the opposite from his wife,” said Mr Mutembei. He added that the wife also told them that her husband had also been lying to her that he was circumcised until she saw for herself.